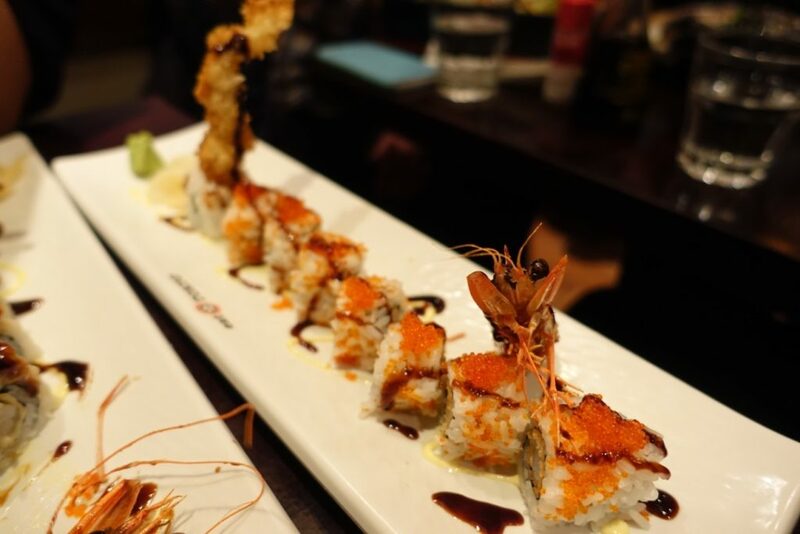 The dangle of decent sushi at a reasonable price, served as fast as lightening was too hard to resist. (Well that’s what I heard from the people). 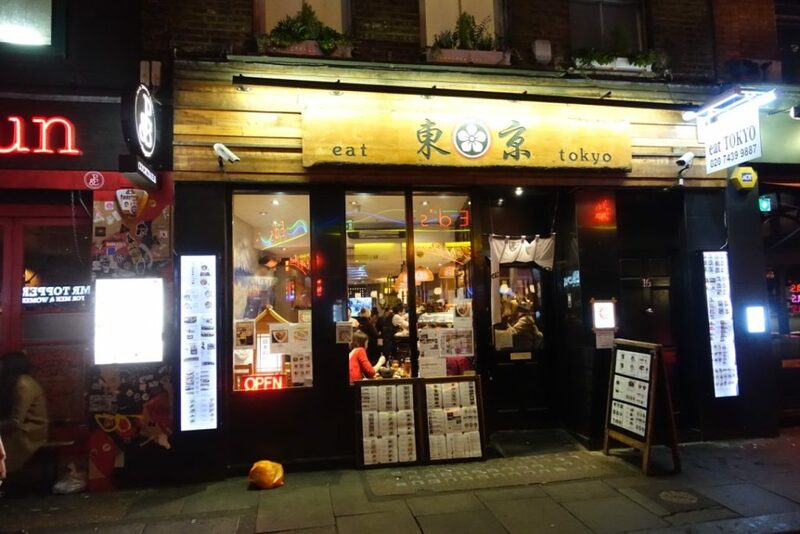 I’m no stranger to to Eat Tokyo, having eaten at their now defunct Trafalgar Square site a few times – the stuff there wasn’t to be sniffed at. 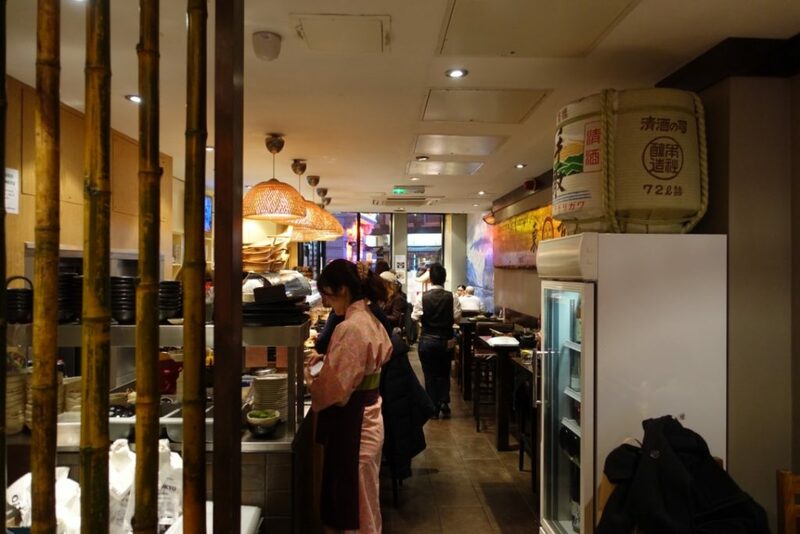 The Soho branch is the fifth London opening from the chain – perhaps trying to even the tally in Tokyo, in which, there are six. 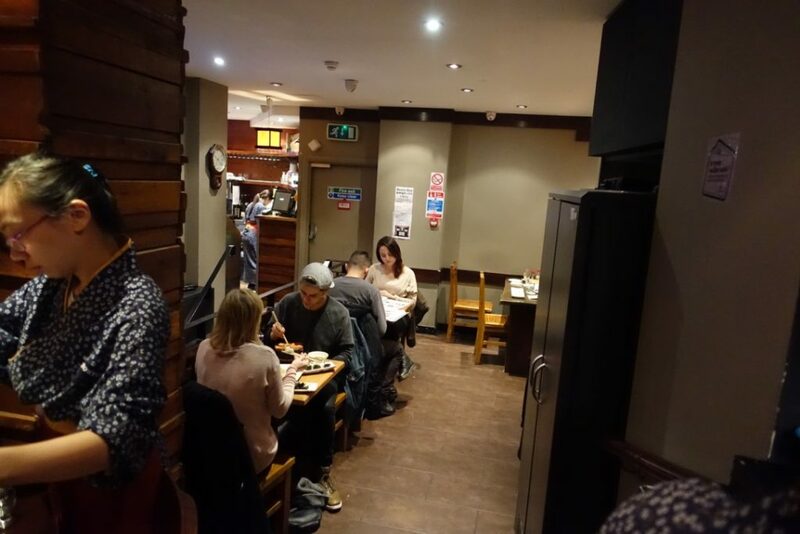 I came mid-week one cold December evening and it was heaving to the brim, but the quick in quick policy seems to negate the need to wait too long. 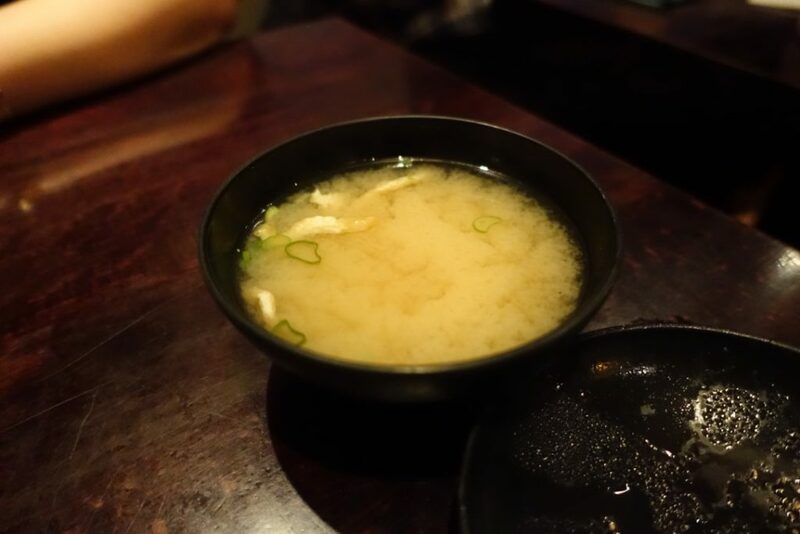 Onto the food..
Miso soup that first, to go with the gyu-don. 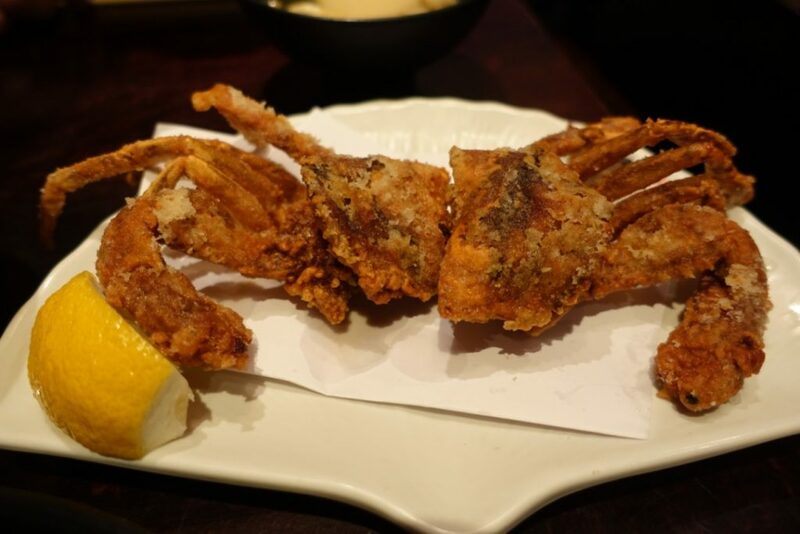 Soft shell crab is easily one of the all time things I love conditionally, it needs to be good. 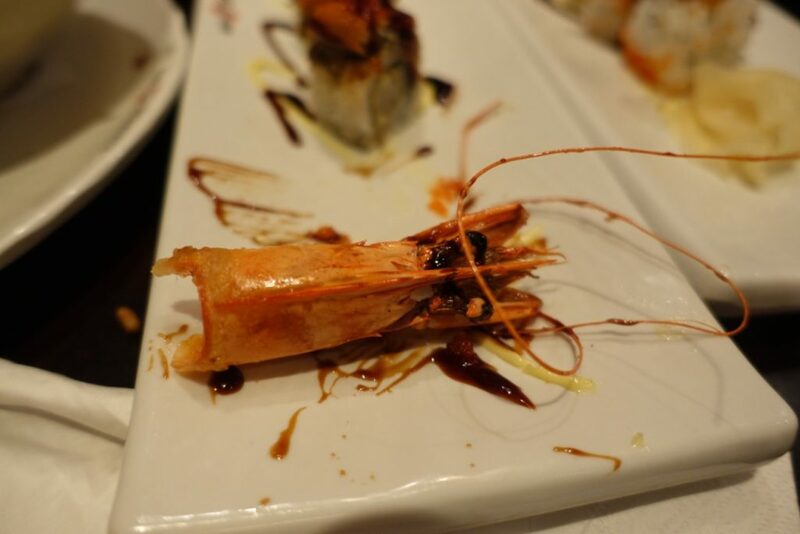 Here in tempura form (£7.80) they were fresh from the frier when they arrived. They were fine but they didn’t smack you with seafood flavour like how I like them, maybe I shouldn’t get my hopes up. 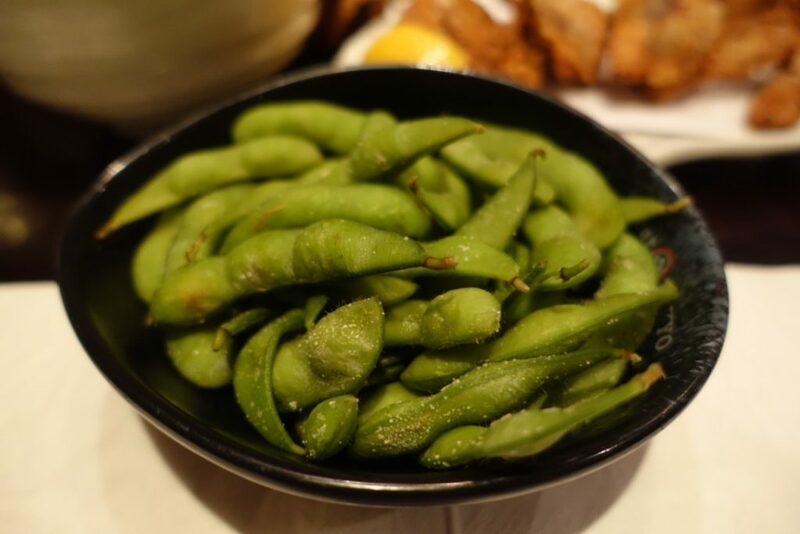 Can’t go wrong with edamame beans (£2.50), did you know that they are rich in protein and antioxidants? It makes their fiddly nature worth it. 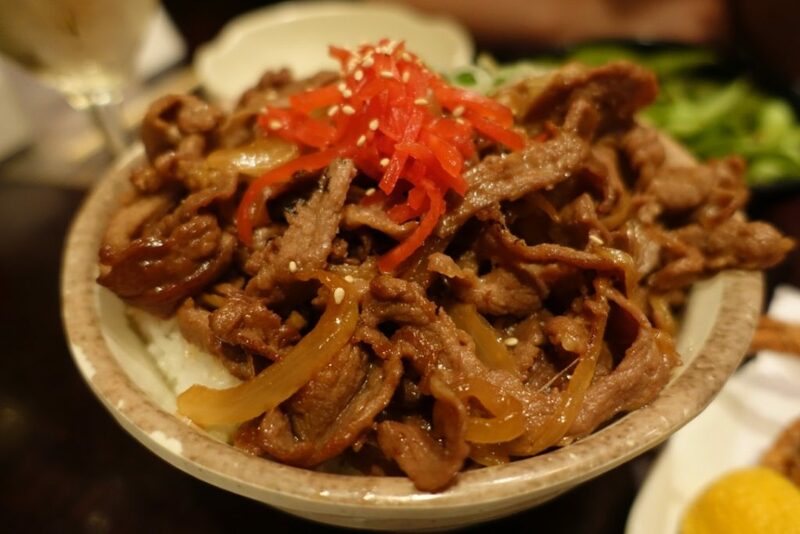 The gyu-don (£9) is stir-fried beef, cooked with onions until both are caramelised, then it’s slathered over sticky short grain rice, garnished with sesame seeds and pickled ginger. The notion is delicious, in reality the beef was tough as old boots and required the jaws of a pitbull to break down. 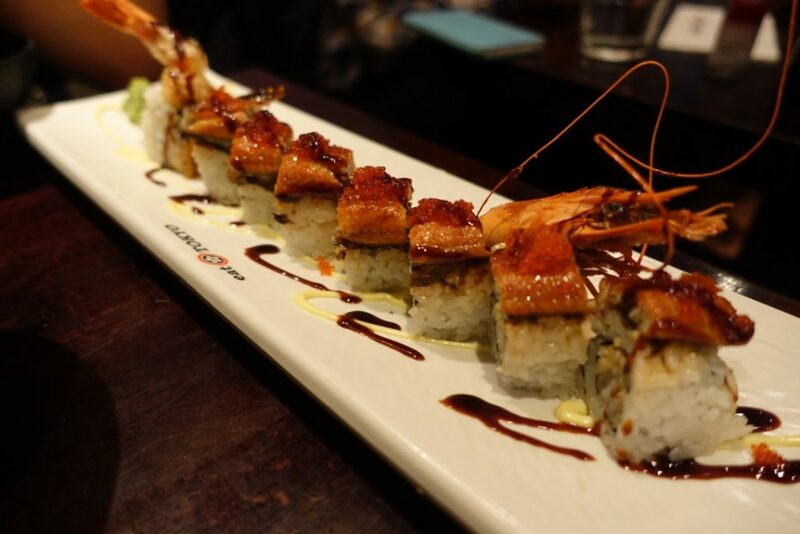 The Tokyo Dragon (£13) was a maki roll of crispy tempura king prawn with slithers of unagi (BBQ eel) delicately placed on top. 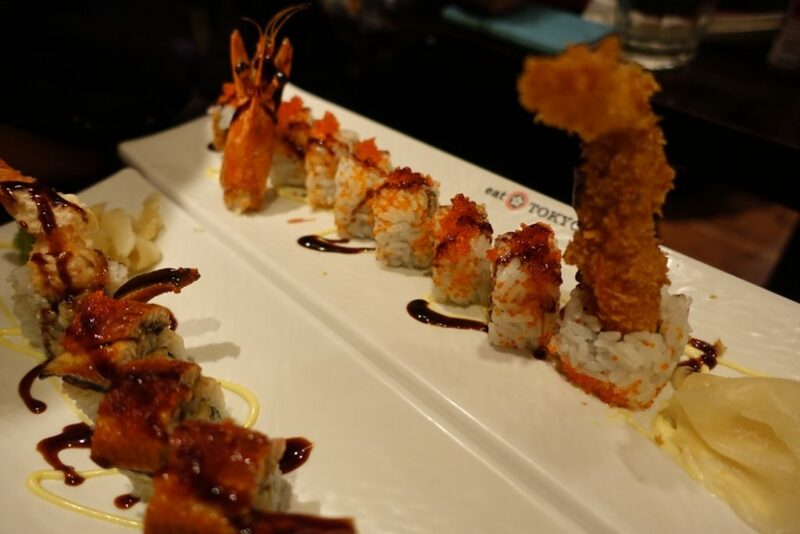 Lots of good stuff here that I happily inhaled. 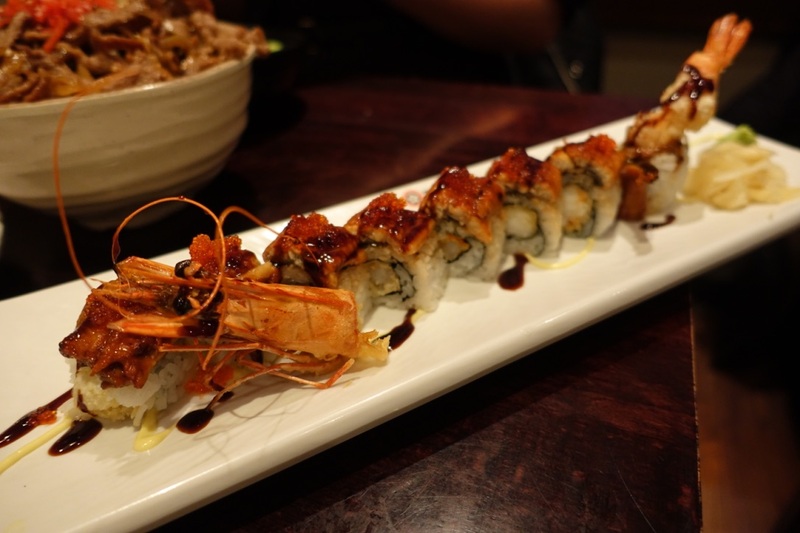 The King Dragon (£9.80) was a king prawn tempura maki, topped with the flying fish roe, tobiko and is drizzled with sticky teriyaki. 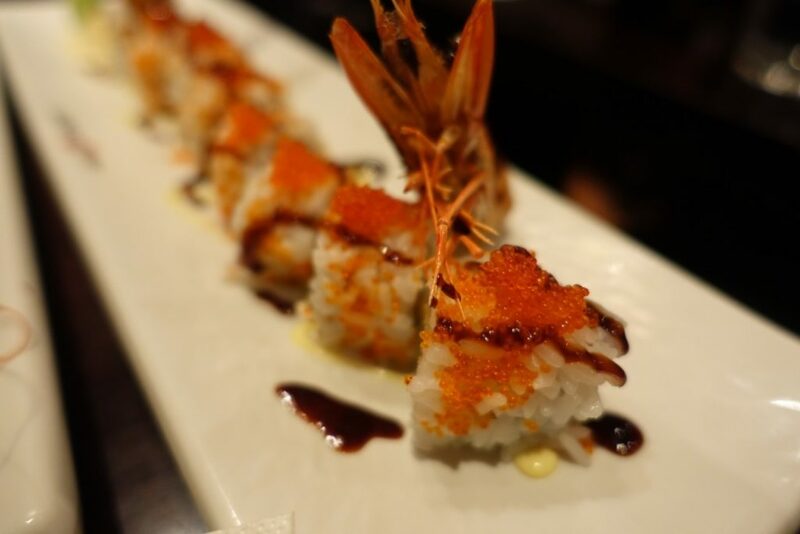 It’s the kind of Japanese food I love to embrace. 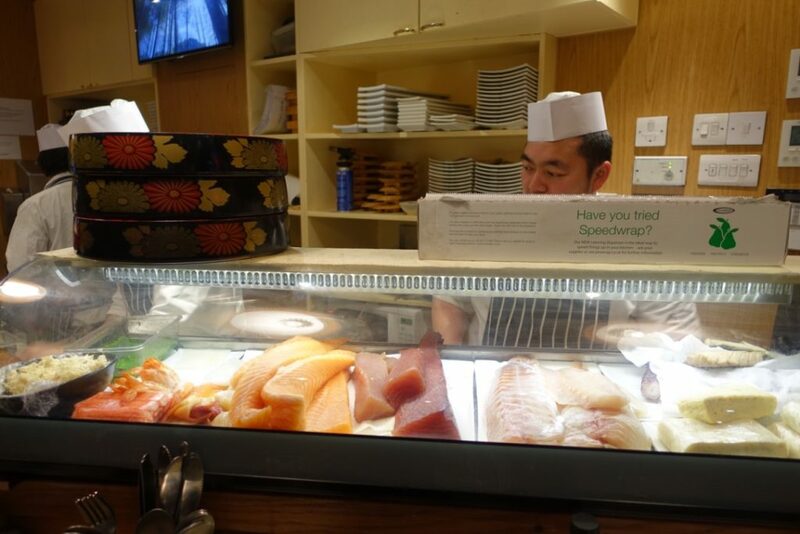 The good: If you’re after “hit and run” style Japanese food, which is gentle on the wallet with minimum thrills then come and play here. 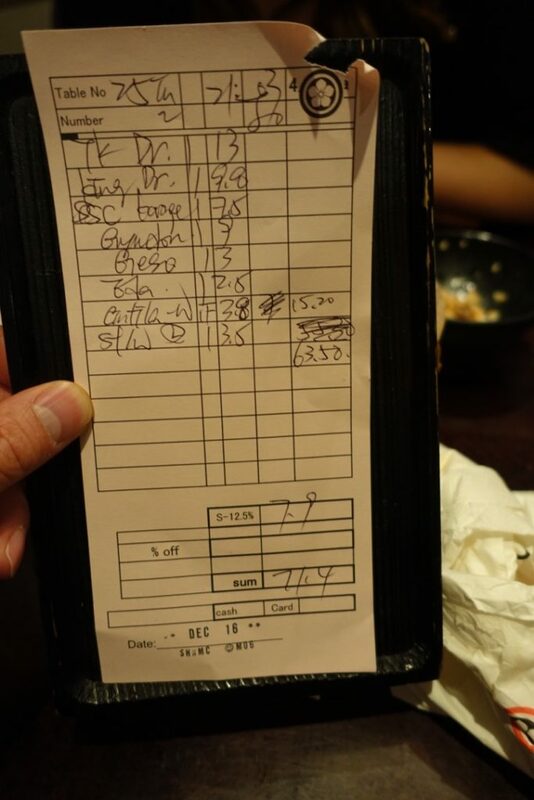 The bad: Some things were sub-par, like the gristly gyu-don and matching service – I genuinely lost count how many times I had to ask for the bill. The place seems to be heaving all the time, with pavement blocking queues every time I walk past, so I’m not knocking it if it works for you. Would I go again? I’ve dodged it since. 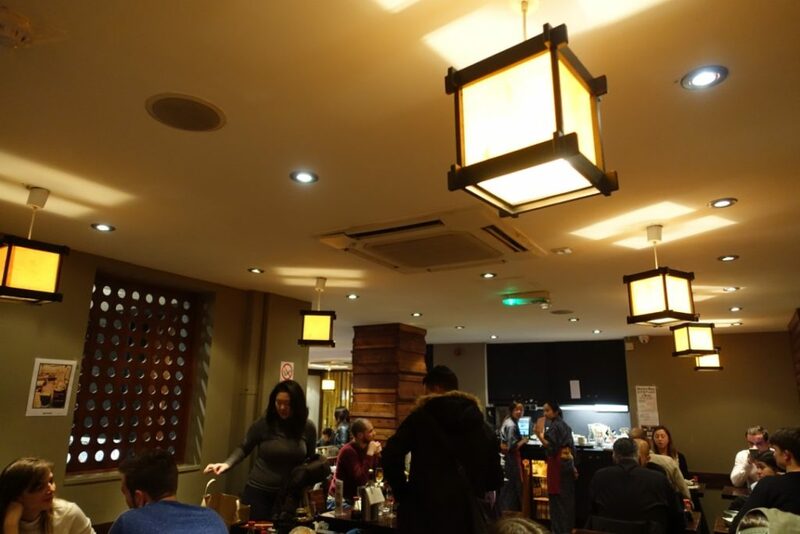 ← The Little Viet Kitchen – Supper Club goes Viral!